Should You Hire An Income Tax Preparer? Income tax preparation by a professional is a must in today’s economy. An income tax preparation professional can often times save you money by identifying deductions you may not have been aware of. If you need Turbo Tax help, we can do that also. Tax laws and forms change all the time. An income tax preparer is up to date on every possible deduction you are entitled to; thereby minimizing the amount of tax you’ll pay and maximizing your refund. A tax advocate on your side is a must in today’s environment. Has It Been A While? Are you behind on preparing your income tax return for previous years? Norris can often times dramatically reduce the amount you owe the IRS, even if you’re delinquent on your taxes. Call Norris right now for expert, friendly advice and service. 480-812-1523. We can save you money. I am your Tax Advocate with the IRS. 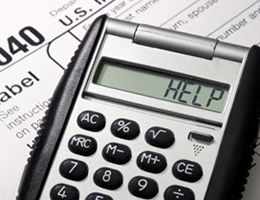 Year-End Tax Do’s can save you $1,000’s on your Income taxes. If you don’t have the tax information and substantiation at your fingertips, then you could easily miss out on tax breaks and end up paying the IRS much more than you should like $1000’s more. Look at last’s years taxes and see the kind of information that is needed. That’s why the recommendation to get your tax filing material organized now is a great way to be ready for the year end and the next tax filing season. Use a folder filing system that you can put in one of those plastic filing boxes. One folder should be for medical expenses. If you have a lot of medical expenses this year you might want to get some work done that you are putting off until next year because not all the medical expenses are deductable or none at all if the amount is not large enough. Another for charity donations, you must have receipts if given more than $250. Another for unreimbursed business expenses. The mileage on your car if used for work; supplies or computer equipment used at home for work; uniforms; safety equipment like gloves, hard hats, steel-toed shoes; union dues; or license fees. Another is for big purchases like autos, trucks or boats to keep track of sales taxes and license fees. Home Improvements can create tax credits for improving your house with insulation materials, solar equipment, new insulated widows, or high efficient new air conditioners. Education Expenses for college students or post secondary education students, the tuition fees, books, supplies and computer equipment are good for tax credits. Day-care expenses can give you some tax credits. Get your day-care provider’s Name, EIN number or Social Security Number, their address and amount paid. Looking for a job is a tax deduction so keep track of the mileage and expenses. Investment information and records of trades and income items, Interest and Dividend and capital gains or losses in investments sold. Have a folder for miscellaneous items at year end like W-2’s, 1098’s, 1099’s, Unemployment received information, and Social Security year-end information sheet. Student Loan Interest can be deduction. Contribute to a Roth or Traditional IRA. Remember to contribute to your Public Schools to receive up to $400 in tax credits in Arizona. Home mortgage interest, property taxes and auto registration fees. The first step is to set up a folder system to gather all this information. Even if you’ve been diligent about keeping all the relevant tax material but just threw it into a box, consider sorting those documents and putting them into your filing system now. By breaking out the information into the appropriate tax filing categories, your annual Form 1040 tasks will go much more quickly and, I hope, produce a better financial result for you instead of for Uncle Sam. And as you continue to put material into your filing system, you’ll be alerted to what holes exist in the documentation. Discovering this means you can plug the gaps as they arise instead of scrambling to find the data when you’re already facing the April 15 deadline. File early so if it is going to be bad news and can plan for payment, or to get your refund early to plan for the big purchase or big vacation. What do you want to purchase with your big refund? Where do you want to go on that big vacation? Your organization system doesn’t have to be complicated. It can be on your computer via a self-created spreadsheet or one of the many prepared packages available like Quicken or even QuickBooks if you have the software. You can get cheap software at the local office supply store. Just remember you do need paper backup. Or, if you’re old-fashioned, a paper-based filing system is fine like file folders you can put in one of the plastic filing boxes. One folder should be for medical expenses. Another for un-reimbursed business expenses. There are also tax credits for improving your house with installation materials and solar equipment. For college students or post secondary education students, the tuition fees, books, supplies and computer equipment are good for tax credits. Day-care expenses can give you some tax credits. Investment information and records of trades and income items. 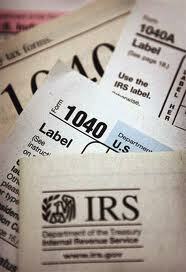 Miscellaneous and items at year end like W-2’s, 1098’s, 1099’s. These are a few suggestions. The key is to pick one system and stick with it. But the first step is to set up your system. What is a Hobby a Business? The IRS defines a hobby as an activity you pursue without expecting to make a taxable profit, you do it because you like doing it. Be aware, however, when your hobby produces income, you owe tax on it. You can reduce your taxable hobby income by deducting your hobby expenses, but this tax break is very limited. If you can demonstrate that you are involved in an activity with the expectation of making money on it, the IRS will consider it a business. Did you earn money or is it in the startup phase? Did you have a profit for three of the five years? Did you carry on the activity in a businesslike manner. This includes, for example, having business bank account, keeping good books and records, promoting your business and holding down costs where possible? How much time and effort did you devote to the enterprise? Do you depend on income from the activity for your livelihood? If your losses are due to circumstances beyond your control or are normal for a business in its startup phase. Whether you change your methods of operation in an attempt to improve profitability. The knowledge and background you (or your advisers) have in running such a business. If you were successful in making a profit in similar activities in the past. Whether the activity makes a profit in some years and, if so, how much. Whether you can expect to make a future profit from the appreciation of the assets used in the activity. The element of personal pleasure involved in the activity. That doesn’t mean you can’t enjoy your new business, but you better be getting more out of it than just a good time. 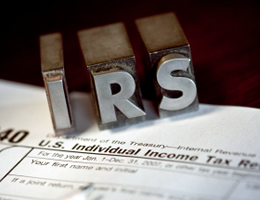 The IRS says all the facts are taken into account and no one factor alone is decisive.